For other uses, see Orenburg (disambiguation). Orenburg (Russian: Оренбург, IPA: [ərʲɪnˈburk], Kazakh: Орынбор, translit. Orynbor) is the administrative center of Orenburg Oblast, Russia. It lies on the Ural River, 1,478 kilometers (918 mi) southeast of Moscow, on the boundary of Europe and Asia. Orenburg is also very close to the border with Kazakhstan. Population: 548,331 (2010 Census); 549,361 (2002 Census); 546,501 (1989 Census). The city is in the basin of the middle current of the River Ural (near its confluence with the River Sakmara). The highest point of the city is 154.4 meters (507 ft). Several historians have tried to explain the origins of the city's name. It was traditionally accepted that the word "orenburg" means a fortress on the River Or. In all probability, the word combination "orenburg" was proposed by I. K. Kirillov, who was the founder of the city. In 1734, in accordance with his project, a package of governmental documents was worked out. This was the starting point for Orenburg as a fortress city near the place where the Or and the Ural rivers cross. On 7 June 1734, "A Privilege for Orenburg" (tsar's edict) was ordered by Empress Anna Ivanovna. While a construction site of the main fortress changed many times (down the River Ural), the very name "Orenburg" has not changed since its founding in 1743. Between 1938 and 1957, the city was referred to as Chkalov, named after the famous Soviet pilot Valery Chkalov, although he was not born in and never lived in Orenburg, and never visited Orenburg. In 1954, Chkalov's 5-meter bronze sculpture was erected on the occasion of his 50th birth anniversary; this was installed on a 7-meter pedestal in the Boulevard (on the riverside promenade of the city, commonly named "Belovka"). Orenburg was unofficially called the Asian capital of Russia. In 1734, the Russian Empire began expanding its control and influence in Asia starting from the construction of the fortress city called "Orenburg" on its eastern border (in Southern Ural). For this purpose, a settlement was founded here in 1735 - at the place where the Or and the Ural rivers cross. The initial site was chosen for settlement during the expedition of I.K. Kirilov, who initiated developmental activities in the region. He argued that the city was necessary "...for opening up transit routes to Bukhara, Badakhshan, Bulk, and to India", making it possible to receive "wealth from there — gold, lapis lazuli, and garnet." After his death, a new administrator of the Orenburg expedition, Vasily Tatishchev, was appointed. He did not consider this place to be convenient for construction of the city, because it was constantly flooded by the spring high waters. This encouraged to launch in 1739 preparations for building a new town with the old name downstream the river Ural (Yaik) on the mountain Krasnaya (Red). The old settlement was named the Orsk fortress (now the city of Orsk). On 19 (30) April 1743, Orenburg was founded for a third time, on the compound that was once the Berd fortress (town of Berd), 70 versts (75 km; 46 mi) from the Krasnogorsk mountain area. In the summer of 1742, Neplyuev personally chose a new place surrounded by forests and crop fields, where the Yaik and the Sakmara rivers cross. Now it is the historical center of the city. The city built upon the mountain Krasnaya was named Krasnogorsk. Orenburg played a major role in Pugachev's Rebellion (1773–1774). At the time, it was the capital of a vast district and the seat of the governor. Yemelyan Pugachev besieged the city and its fortress from nearby Berda from October 1773 - March 26, 1774. The defense was organized by lieutenant-general Reinsdorp. General Golytsin defeated Pugachev at Berda, and later again at Kargala (north of Orenburg). Most of the city was left in ruins, and thousands of inhabitants had died in the siege. Orenburg functioned as the capital of the Kirghiz Autonomous Soviet Socialist Republic (in present-day Kazakhstan) within Russia from 1920–1925. When that republic was renamed Kazak Autonomous Soviet Socialist Republic in 1925, Orenburg joined Russia and Kyzylorda became the new capital. Almaty became the capital in 1929 after the construction of the Turkestan–Siberia Railway. Kazak Autonomous Soviet Socialist Republic was promoted to the union republic status as the Kazakh Soviet Socialist Republic Kazakh SSR in 1936. Orenburg remained in Russia. Orenburg is the administrative center of the oblast and, within the framework of administrative divisions, it also serves as the administrative center of Orenburgsky District, even though it is not a part of it. As an administrative division, it is, together with ten rural localities, incorporated separately as the City of Orenburg—an administrative unit with the status equal to that of the districts. As a municipal division, the City of Orenburg is incorporated as Orenburg Urban Okrug. Orenburg's main airport is the Orenburg Tsentralny Airport, located about 25 kilometers (16 mi) east of the city, on the Orsk destination, and used to be the headquarters of now defunct Orenair. Orenburg has a relatively dry humid continental climate (Köppen climate classification Dfa) with quite long and hot summers and long and cold winters. April and October are transition months, with the rest of the months being either summer or winter. Orenburg State Medical Academy. Established in 1944 as Chkalov State Medical Institute. It was renamed to Orenburg State Medical Institute in 1957 (at that time Orenburg city regained its original name after being named Chkalov from 1937 till 1957). It gained the status of academy in 1994. Currently there are eight faculties: Medicine, Pediatric, Stomatology (Dentistry), Pharmacy, Clinical Psychology, Nursing, Public Health (Медико-профилактический), and Continuing Education. Orenburg State Agrarian University. Established in 1930 as Orenburg Agricultural Institute. It was transformed to Orenburg State Agricultural Academy in 1992. Since 1995 named as Orenburg State Agrarian University. There are 8 faculties and four institutes. Orenburg State Pedagogical University. Established in 1919 as Institute of Public Education. Renamed to Pedagogical Institute in 1930. Transformed to Pedagogical University in 1996. There are 10 faculties and four research institutes. Orenburg Municipal Puppet Theater "Pierrot"
Mountain and river tourism are developed in the region. There are a number of fast mountain rivers and rocks in pleated spurs of the southern edge of the Urals range, popular with tourists. The city is known for its location between Europe and Asia. The Ural River marks the border of Asia and Europe, and there is a bridge which connects the two sides. FC Orenburg, the local football team founded in 1970, reached the Russian Premier League for the first time during the 2016-17 season. Lokomotiv has played in the highest division of the Russian Bandy League. Now they play in the second highest division, Russian Bandy Supreme League. Their home arena has a capacity of 5000. In October 2015, the Russian Rink Bandy Cup was to be organised. Leo Pevzner(b.1975-), Russian-American writer, B.Yeltsin's widow's nephew. ^ "Глава города Оренбурга". Официальный портал города Оренбурга. Archived from the original on August 17, 2012. Retrieved 2012-06-25. ^ a b Государственный комитет Российской Федерации по статистике. Комитет Российской Федерации по стандартизации, метрологии и сертификации. №ОК 019-95 1 января 1997 г. «Общероссийский классификатор объектов административно-территориального деления. Код 53 234», в ред. изменения №278/2015 от 1 января 2016 г.. (State Statistics Committee of the Russian Federation. Committee of the Russian Federation on Standardization, Metrology, and Certification. #OK 019-95 January 1, 1997 Russian Classification of Objects of Administrative Division (OKATO). Code 53 234, as amended by the Amendment #278/2015 of January 1, 2016. ). ^ Поспелов Е.М. Географические названия мира: топонимический словарь. — М.: Русские словари; Астрель; ACT, 2002. — ISBN 5-17-002938-1 ; 5-271-00446-5 ; 5-93259-014-9 ; 5-17-001389-2. ^ Оренбург — статья из Большой советской энциклопедии. ^ Город был переименован Указом ПрезидиумаПрезидиума Верховного Совета СССР от 26 декабря 1938 г. ^ Глущенко Е. А. Россия в Средней Азии. Завоевания и преобразования. М.: Центрполиграф, 2010. 575 с. (Россия забытая и неизвестная. Золотая коллекция). С.62. ISBN 978-5-227-02167-0. ^ Государственный комитет Российской Федерации по статистике. Комитет Российской Федерации по стандартизации, метрологии и сертификации. №ОК 019-95 1 января 1997 г. «Общероссийский классификатор объектов административно-территориального деления. Код 53 401», в ред. изменения №278/2015 от 1 января 2016 г.. (State Statistics Committee of the Russian Federation. Committee of the Russian Federation on Standardization, Metrology, and Certification. #OK 019-95 January 1, 1997 Russian Classification of Objects of Administrative Division (OKATO). Code 53 401, as amended by the Amendment #278/2015 of January 1, 2016. ). ^ Correspondence, Foreign (November 7, 1904). "RUSSIA'S NEW GREAT RAILROAD IN ASIA; Orenburg-Tashkent Line Was Completed a Few Days Ago. GREAT VALUE STRATEGICALLY Prince Hilkoff Pushed the Construction of the Road with Much Energy -- The Cities Traversed" (PDF). The New York Times. ^ "КЛИМАТ ОРЕНБУРГА" (in Russian). Погода и климат. Retrieved April 4, 2016. ^ "Orenburg Climate Normals 1961–1990". National Oceanic and Atmospheric Administration. Retrieved April 4, 2016. Законодательное Собрание Оренбургской области. Закон №1370/276-IV-ОЗ от 11 июля 2007 г. «Об административно-территориальном устройстве Оренбургской области», в ред. Закона №2826/783-V-ОЗ от 15 декабря 2014 г. «О внесении изменений в Закон Оренбургской области "Об административно-территориальном устройстве Оренбургской области"». Вступил в силу после официального опубликования. Опубликован: "Южный Урал", №№134–135 (спецвыпуск №40 с документами Законодательного Собрания Оренбургской области), 21 июля 2007 г. (Legislative Assembly of Orenburg Oblast. Law #1370/276-IV-OZ of July 11, 2007 On the Administrative-Territorial Structure of Orenburg Oblast, as amended by the Law #2826/783-V-OZ of December 15, 2014 On Amending the Law of Orenburg Oblast "On the Administrative-Territorial Structure of Orenburg Oblast". Effective as of after the official publication date.). Законодательное Собрание Оренбургской области. Закон №2367/495-IV-ОЗ от 15 сентября 2008 г. «Об утверждении перечня муниципальных образований Оренбургской области и населённых пунктов, входящих в их состав», в ред. Закона №3322/917-V-ОЗ от 24 августа 2015 г. «О внесении изменений в Закон Оренбургской области "Об утверждении перечня муниципальных образований Оренбургской области и населённых пунктов, входящих в их состав"». Вступил в силу через 10 дней после официального опубликования. Опубликован: "Бюллетень Законодательного Собрания Оренбургской области", 22 заседание, I часть, 29 августа 2008 г. (Legislative Assembly of Orenburg Oblast. Law #2367/495-IV-OZ of September 15, 2008 On Adopting the Registry of the Municipal Formations of Orenburg Oblast and the Inhabited Localities They Comprise, as amended by the Law #3322/917-V-OZ of August 24, 2015 On Amending the Law of Orenburg Oblast "On Adopting the Registry of the Municipal Formations of Orenburg Oblast and the Inhabited Localities They Comprise". Effective as of after 10 days following the official publication.). Orsk is the second largest city in Orenburg Oblast, Russia, located on the steppe about 100 kilometers (62 mi) southeast of the southern tip of the Ural Mountains. The city straddles the Ural River. Since this river is considered a boundary between Europe and Asia, Orsk can be said to lie in two continents. Population: 239,800 (2010 Census); 250,963 (2002 Census); 270,711 (1989 Census). Buzuluk is a town in Orenburg Oblast, Russia, located on the Samara, Buzuluk, and Domashka Rivers, 246 kilometers (153 mi) northwest of Orenburg and 170 kilometers (110 mi) southeast of Samara. Population: 82,904 (2010 Census); 87,286 (2002 Census); 83,994 (1989 Census). Sol-Iletsk is a town in Orenburg Oblast, Russia, located on the right bank of the Ilek River, 77 kilometers (48 mi) south of Orenburg, the administrative center of the oblast. Population: 28,377 (2010 Census); 26,883 (2002 Census); 23,836 (1989 Census); 22,000 (1975); 11,802 (1897). Abdulino is a town in Orenburg Oblast, Russia. As of the 2010 Census, its population was 20,173. Buguruslan is a town in Orenburg Oblast, Russia. Population: 49,741 (2010 Census); 53,893 (2002 Census); 54,097 (1989 Census). Gay is a town in Orenburg Oblast, Russia, located 230 kilometers (140 mi) east of Orenburg, the administrative center of the oblast. As of the 2010 Census, its population was 38,301. Kuvandyk is a town in Orenburg Oblast, Russia, located on the Sakmara River at the southern end of the Ural Mountains, 194 kilometers (121 mi) east of Orenburg, the administrative center of the oblast. Population: 26,169 (2010 Census); 28,679 (2002 Census); 28,339 (1989 Census). Sorochinsk is a town in Orenburg Oblast, Russia, located on the Samara River, 170 kilometers (110 mi) northwest of Orenburg, the administrative center of the oblast. As of the 2010 Census, its population was 29,249. Yasny is a town in Orenburg Oblast, Russia, located 502 kilometers (312 mi) southeast of Orenburg, the administrative center of the oblast. Population: 17,363 (2010 Census); 18,545 (2002 Census); 26,587 (1989 Census). Abdulinsky District is an administrative district (raion), one of the thirty-five in Orenburg Oblast, Russia. It is located in the northwest of the oblast. The area of the district is 1,700 square kilometers (660 sq mi). Its administrative center is the town of Abdulino. As of the 2010 Census, the total population of the district was 10,373. Asekeyevsky District is an administrative and municipal district (raion), one of the thirty-five in Orenburg Oblast, Russia. It is located in the northwest of the oblast. The area of the district is 2,400 square kilometers (930 sq mi). Its administrative center is the rural locality of Asekeyevo. Population: 21,050 ; 24,492 (2002 Census); 24,682 (1989 Census). The population of the administrative center accounts for 24.7% of the total district's population. Belyayevsky District is an administrative and municipal district (raion), one of the thirty-five in Orenburg Oblast, Russia. It is located in the center of the oblast. The area of the district is 3,687 square kilometers (1,424 sq mi). Its administrative center is the rural locality of Belyayevka. Population: 17,074 ; 20,108 (2002 Census); 19,877 (1989 Census). The population of Belyayevka accounts for 29.2% of the total district's population. 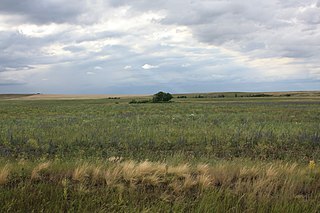 Buguruslansky District is an administrative and municipal district (raion), one of the thirty-five in Orenburg Oblast, Russia. It is located in the northwest of the oblast. The area of the district is 2,834 square kilometers (1,094 sq mi). Its administrative center is the town of Buguruslan. Population: 19,680 ; 23,523 (2002 Census); 23,172 (1989 Census). Buzuluksky District is an administrative and municipal district (raion), one of the thirty-five in Orenburg Oblast, Russia. It is located in the west of the oblast. The area of the district is 3,800 square kilometers (1,500 sq mi). Its administrative center is the town of Buzuluk. Population: 31,071 ; 33,113 (2002 Census); 30,374 (1989 Census). Dombarovsky District is an administrative and municipal district (raion), one of the thirty-five in Orenburg Oblast, Russia. It is located in the southeast of the oblast. The area of the district is 3,600 square kilometers (1,400 sq mi). Its administrative center is the rural locality of Dombarovsky. Population: 15,994 ; 19,188 (2002 Census); 20,016 (1989 Census). The population of the administrative center accounts for 53.9% of the total district's population. Kurmanayevsky District is an administrative and municipal district (raion), one of the thirty-five in Orenburg Oblast, Russia. It is located in the west of the oblast. The area of the district is 2,900 square kilometers (1,100 sq mi). Its administrative center is the rural locality of Kurmanayevka. Population: 17,705 ; 21,364 (2002 Census); 23,239 (1989 Census). The population of Kurmanayevka accounts for 24.4% of the district's total population. Sharlyksky District is an administrative and municipal district (raion), one of the thirty-five in Orenburg Oblast, Russia. It is located in the northwest of the oblast. The area of the district is 2,900 square kilometers (1,100 sq mi). Its administrative center is the rural locality of Sharlyk. Population: 18,032 ; 22,128 (2002 Census); 23,797 (1989 Census). The population of Sharlyk accounts for 42.0% of the total district's population. Sorochinsky District is an administrative district (raion), one of the thirty-five in Orenburg Oblast, Russia. It is located in the west of the oblast. The area of the district is 2,800 square kilometers (1,100 sq mi). Its administrative center is the town of Sorochinsk. As of the 2010 Census, the total population of the district was 14,192. Komarovsky is a closed rural locality in Orenburg Oblast, Russia. Population: 8,064 (2010 Census); 8,344 (2002 Census).